Here you will find exclusive coffee machines in different designs. 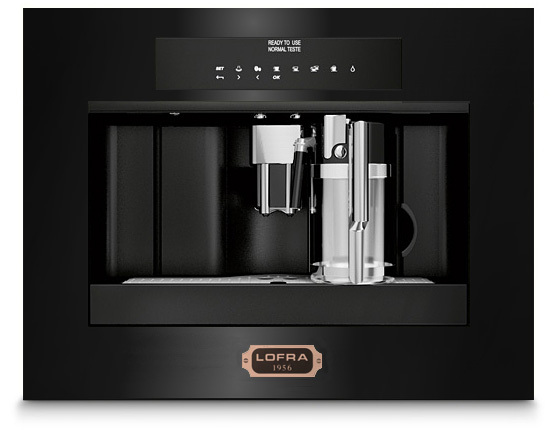 With a sleek and integratable coffee machine from the Italian brand Lofra you can enjoy an authentic cappuccino, espresso or latte in no time. Facilitate your everyday life, save valuable time and enjoy a good cup of coffee at the touch of a button! A good espresso is the foundation of delicious Italian coffee. With a fully automatic espresso machine, coffee is as easy as in a capsule machine, but at a significantly lower price per cup. An automatic coffee machine is easy to operate, clean and will give you perfect results every time. Complement your kitchen with a coffee machine of the highest quality from the Italian brand Lofra - Dolce vita. Goes perfectly next to a Lofra - Dolce Vita stove. Fully automatic, with settings for temperature, bean grinding and flow times. Everything you need to provide you with the perfect cup of coffee. 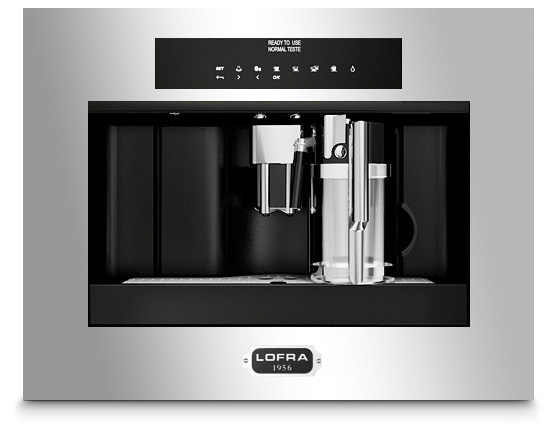 How about a cup of espresso, a cappuccino, latte macchiato, café au lait or hot water at the touch of a button?